Employees expect to pay medical premiums either bi-weekly or monthly. They’re able to budget for these expenses and know what the figures will be. Something that is extremely difficult to budget for, and catches a person by surprise, is the medical deductible. It has the potential of harming the financial wellness of anyone. Employers in the past few years have tried to contain medical insurance costs by raising the deductible. 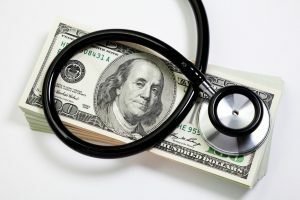 It means that deductibles that were once one or $2000 are now up to $5000 per year. The crisis sets in when someone has an illness or condition that is not temporary. Countrywide Pre-Paid Legal Services provides group legal plans for many organizations. We also have a financial wellness program that can help a plan member better cope with the deductible situation. Budgeting for a deductible and subsequent payments is not always easy. Professional advice can help, and Countrywide has certified counselors to assist. These professionals are in the community and setting up appointments is easy to do. We insist those lawyers qualifying for a group legal plan under Countrywide show great personal skills; we expect the same from our financial wellness counselors. One of the first things they do is work on the budget. Deductible expenses can be as sudden as the emergency itself. A broken arm or leg requires a trip to the hospital and surgery to mend the fracture. This can create a sizable deductible expense. The Countrywide counselor knows that and begins consultation with a budget analysis. The condition of the cash flow is determined, and where adjustments are possible. The intent is to free up money to pay for the deductible load. Where the money is going is identified and where adjustments can be made or determined. It may mean reallocating money from one pile to another. Gradually, a plan develops that meets the deductible situation without sacrificing financial wellness. Healthcare providers are more interested in getting their money than causing hardships. The counselor can recommend ways of working with the hospital to manage the deductible debt. A system of monthly payments, easily affordable, can be arranged. The important aspect is to see to it those payments are made on a routine basis. The existing personal budget may already be facing problems. A deductible debt only adds to it. A debt management plan may be necessary, and if so, the Countrywide counselor will recommend one. It provides for ongoing counseling and other services for the plan member. This does cost a little bit more, but in extreme situations, it is certainly worthwhile. Human resources directors are concerned about the quality of service and return on investment. Countrywide expects all counselors to provide not only professional advice but a sensitive approach to dealing with financial wellness plan members. Everyone is treated with respect and courtesy. All matters will get careful explanations. Countrywide wants clients to use the benefit to the maximum effect. We permit clients to decide what options would be part of the financial wellness plan. It allows for a tailor-made program that all employees will be able to use. It means that every dollar spent on the service gets a full return. Deductible payments can be unexpected, but they don’t need to be nightmares. It just requires good advice and guidance to make things better. Countrywide offers expert service from people with real human skills. This is true of all our benefit programs. We encourage human resources directors to inquire about what we offer. We know they will be impressed by our streamlined ministration and our commitment to great customer service. Please feel free to contact us at your earliest convenience.